The Elko is made in a style rapidly becoming more popular among buckaroos and cowboys. 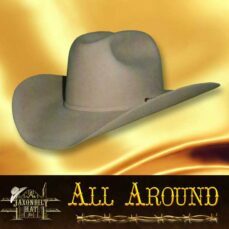 This Boone crown, Nevada snap-brim cowboy hat is uniquely styled with a full bound edge, wide ribbon crown band. This one is recommended for service and appearance in your color and quality choice. 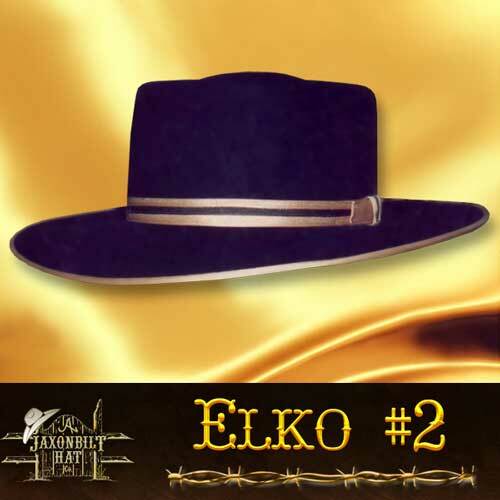 If you liked the #2 Elko take a look at this version of our popular western style hat. 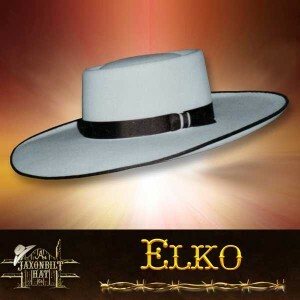 This black version of the Elko hat features a combination crown ribbon of Camel and Black and a bound edge brim, trimmed in Camel. The brim of this little beauty is a bit shorter than the #2 Elko at 3 1/2”. Chocolate makes a good color combination in this hat as well. 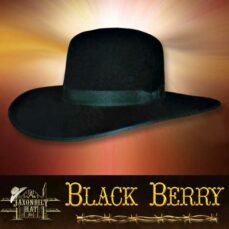 Either way it is a rich looking hat in either black or chocolate. Add the camel trim, you will be pleased and enjoy wearing this hat to any occasion.